The Rev. 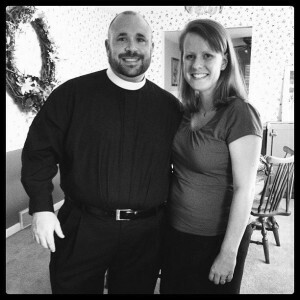 Drew McIntyre is an Elder in the Western North Carolina Conference and serves West Bend UMC in Asheboro, NC. Born and raised in the Tar Heel state, he was educated at High Point University (B.A. History, B.A. Religion) and Duke Divinity School (M.Div., Certificate in Gender, Theology, & Ministry). Drew enjoys spending time with his wife, Brittany, playing with their pets, reading, and watching movies. He is avid fan of mixed martial arts and Duke basketball, and also blogs at DrewBMcIntyre.com. Follow him on twitter @drewbmcintyre. Is Sprinkling the Best Way to Baptize?